This morning I got up earlier than usual for some reason, so I decided to make some musubi. It’s usually too hectic to make musubi on a school morning, so everyone was happily surprised to get musubi for breakfast. Laurel and Quill certainly didn’t complain about getting them packed for their lunches. 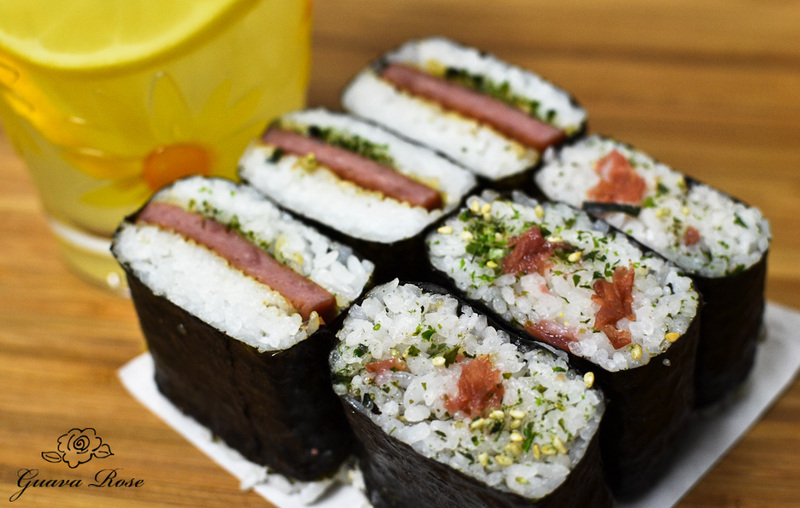 Here’s everyone’s favorite– spam musubi, except for Quill of course! She won’t eat a lot of meat, but she loves bacon, pepperoni and procuitto! You’d think that she’d put spam in her “like” category, but no, she won’t touch it. I usually just end up molding some triangle musubi with an ume in the center for her, but today I tried something different. 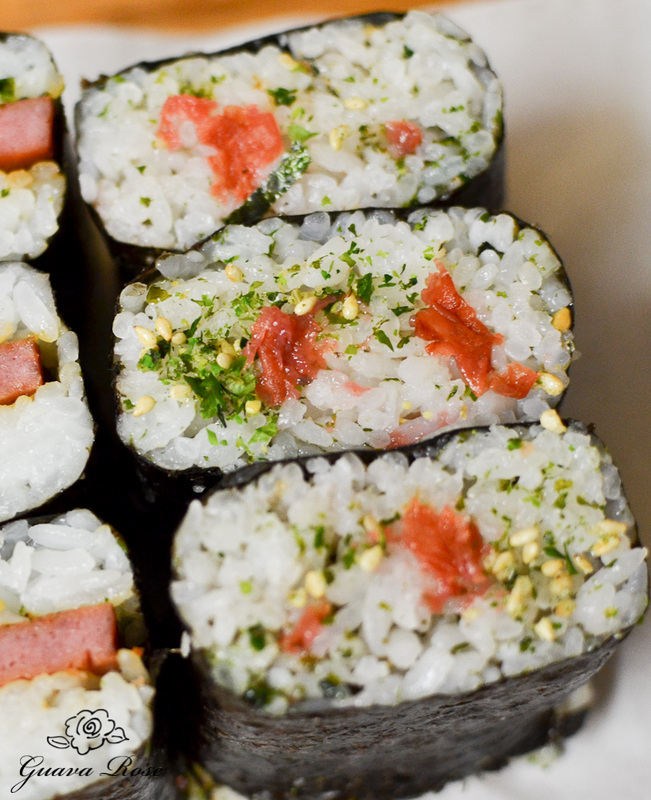 I mixed up the rice with ume and sesame-seaweed furikake and molded it in nori in the spam musubi mold. I used one pitted ume and 1/2 tsp. 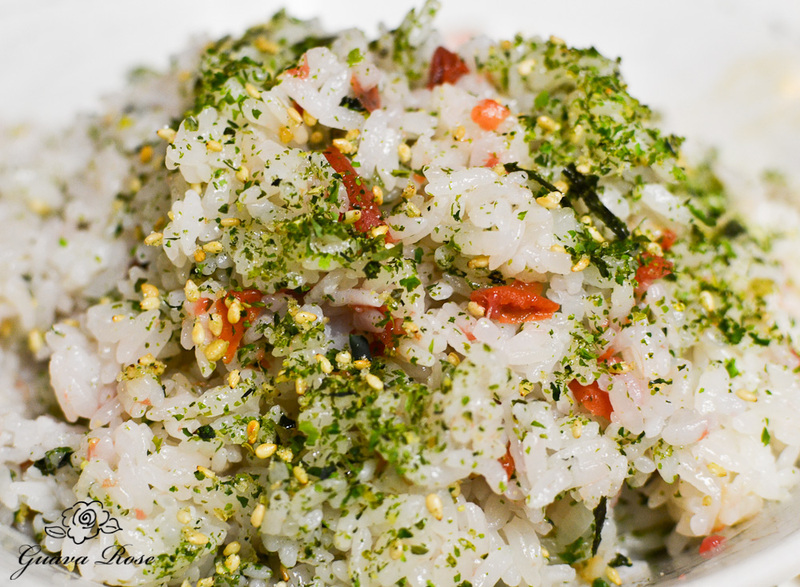 of furikake for every 2/3 cup of cooked rice. That’s about how much rice I figure I use for each musubi. 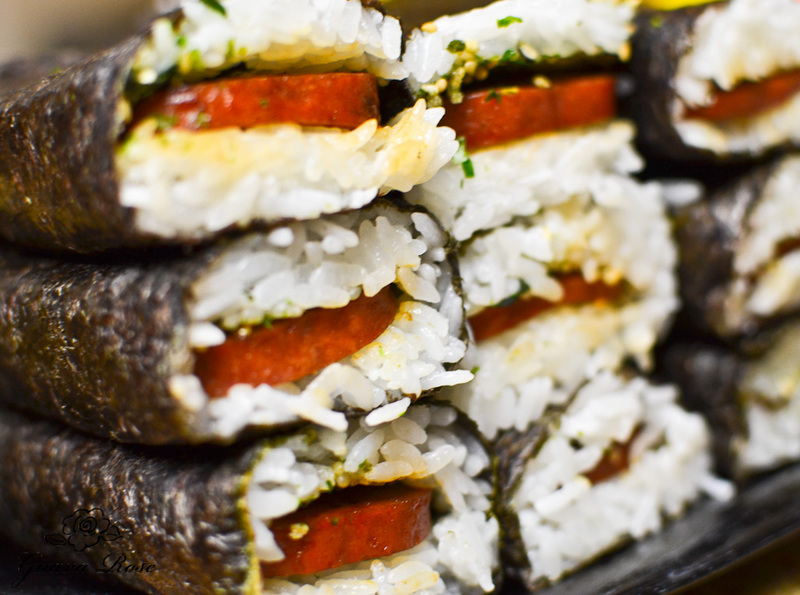 I’m not a fan of musubi made with huge blocks of rice. It was very festive looking and would be especially nice around the Christmas holidays. A nice meat free choice. 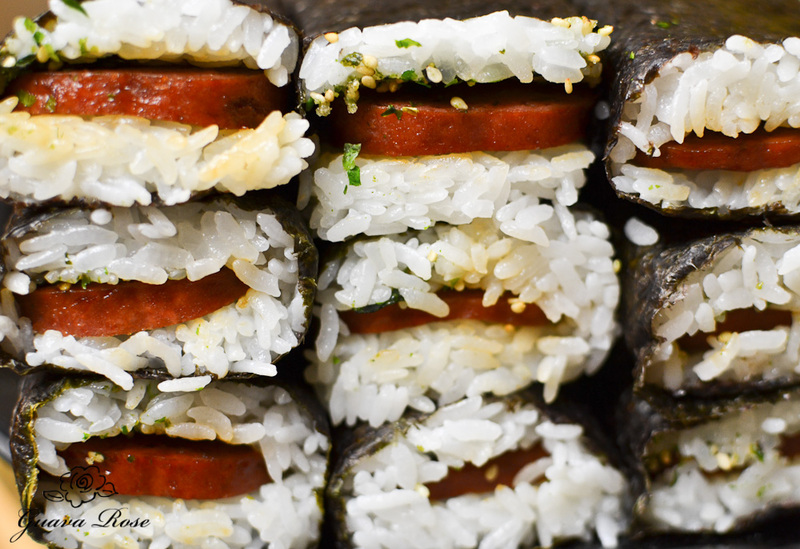 When I was editing my photos, it seemed like these musubi were all laughing at me. Ha ha, the joke’s on you guys! We’re gonna eat you all up! Oh… but then I’m going to have to be on the elliptical for the rest of the day…..